Samantha Lissette exhibits regularly throughout NZ and internationally. 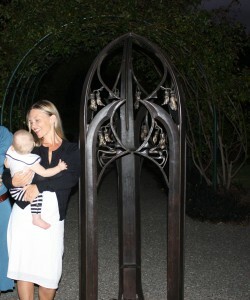 Her work is in public and private collections across New Zealand and China. Samantha is a member of the NZ medal makers group MANZ and exhibits regularly with FIDEM International Medal Makers Congress. She has a degree in philosophy. Lissette has received public and corporate commissions for her work, most notably for Auckland City Council to Guanghou, China; Auckland Botanic Gardens and Auckland University. Her most recent public commission is the Little Blue Penguin Project at Campbells Bay Beach on Auckland’s North Shore. She works extensively in all scales of the bronze medium, from the monument to the miniature. Samantha’s work explores the relationship between ‘designed’ elements in the natural world and man’s adaptation of them – merging organic and constructed ideas, exposing an innate link between the two. There is a strong narrative quality to her sculpture, questioning aspects of the human condition; often employing humour or irony, bringing a sense of playfulness and delicacy to a medium traditionally associated with weight and substance. The diversity and design within nature provides Lissette with an infinite source of ideas. There are endless correlations of natures design principals within man made objects. These abstractions offer inspiration for new object making. Combining natural forms with man made forms offers a new way to see objects and a new way to tell a story or imbue an object with meaning.